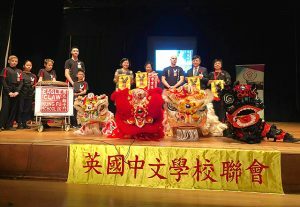 Saturday the 9th of March saw students from the Eagle Claw Kung Fu School UK, travel to Baker Street in London to perform Lion dance and kung fu demonstrations at the UK Federation of Chinese Schools Annual National event. 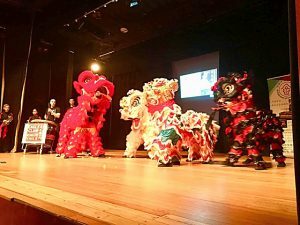 Our Lion dance team gathered 4 lions and to perform in front of Ambassadors and Consulates from the Chinese Embassy to a packed crowd of 500 people to open the Annual UK Federations of Chinese school’s event. Our school also entered a small team in to the Martial Arts competition winning Gold first place and best team Trophy.